Beautiful photo Sharon 🙂 Oaks are definitely my favourite trees. Hello, Andy, and thank you. They’re spectacular trees, alright. Much has been written about them and for good reason. 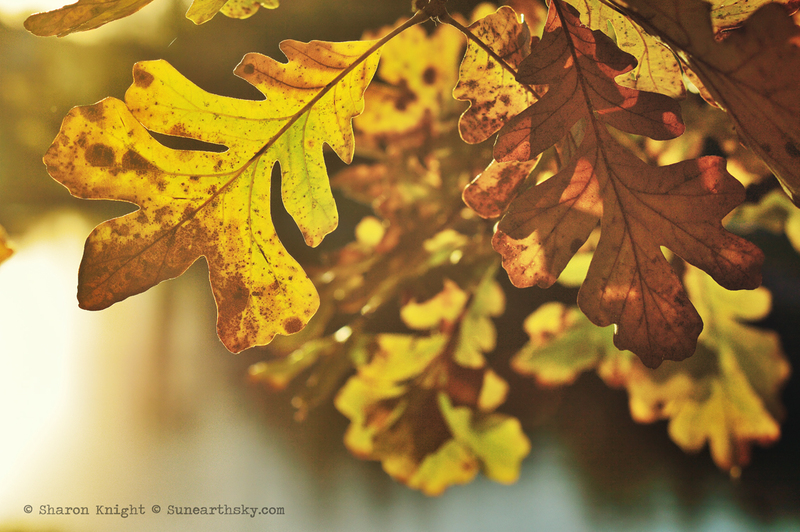 I wonder if the Scottish oaks display much autumn color? This year Sharon, even our oaks are looking good for their colours. We are having a relatively spectacular Autumn colour fest for our trees and vegetation here in Scotland. Usually all the leaves are blown off in the first week or two of October, but the way things are going, we’ll still have the leaves on the trees into November 🙂 Our Autumn colours will never however match the splendour of the Fall in the US! Thanks, Seonaid. It’s easy to get lost in that light…..